Marine-Plus.Com Wagner DC Fluxgate Compass 530-200 (New) For the Boating Community! 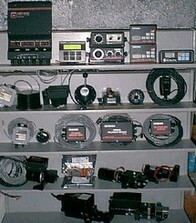 For Wagner Autopilot Models MP640, MP320 or Micropilot ONLY, Not for S50, S70, SE I, SE II or MK4 Use! ALSO Works With the Wagner Micropilot... When used with a Wagner Fluxgate Compass Interface Box P/N: 530-168 (None In Stock) Or Without Box Using My Custom Adapter Cable ($50.00 Extra)! 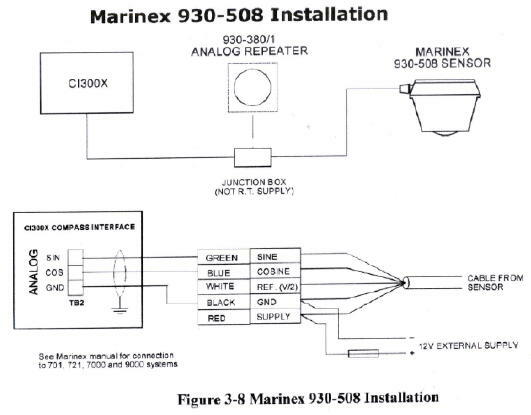 This is a Marinex P/N: 930-508 Compass Made For Wagner BUT It CAN Be Used For Most Other Manufacturers Autopilots and Nav Instruments that Accept Sine Cosine Signals ...Radar, etc., for Heading Information... Cut the Plug Off!